Dental crowns are used to strengthen, restore or improve the appearance of a natural tooth. Some reasons for crown placement include replacement of a large filling when there is a deficiency of remaining tooth structure, to protect a tooth from fracture or restoration of a fractured tooth, to cover a dental implant a or poorly shaped tooth. 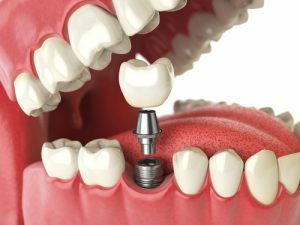 During this restorative procedure a crown (or “cap”) is placed over the carefully prepared existing tooth or implant. Crowns may be made of gold and metal alloys or porcelain or ceramic material, which are matched to the color of the patient’s natural teeth. We first anesthetize the area to be treated. Then we carefully shape and contour the tooth or teeth to be crowned to ensure proper fit and appearance of the crown. Next we make an impression of the area and fit the tooth or teeth involved with a temporary crown to protect them until the real crown is delivered. A bridge is a custom device used to cover a space of one or more missing teeth. This prosthetic is anchored to neighboring teeth or implants with cement. When a lost tooth is replaced with a bridge, the teeth on either side of the missing one must be carefully prepared to serve as anchors (abutments) to hold the prosthetic replacement teeth in place. The type of crown and bridge material used depends on aesthetics (color match and appearance), form (the contour of the bridge must conform to the surrounding tissue in a natural health position), and function (chewing and biting accuracy). Dental implants offer natural-looking, comfortable and permanent replacement for missing teeth. There are several steps involved for the accurate and comfortable placement of implants. To devise the best treatment for our patients, we first complete a medical and dental history and a thorough oral examination with x-rays. During the first phase of treatment, a dentist surgically places the implant in the jaw with the top of the implant just above the top of the bone. Then approximately three to six months is allowed for the bone tissue to grow around the implant and hold it securely in place. Once the jawbone has firmly healed around the implant, a small post is attached. The post protrudes through the gum line and serves as an anchor for the replacement tooth/teeth. After the gums have fully healed, the replacement teeth or dentures are securely attached to the posts. If you are interested in receiving implants or would like more information, please contact Crystal Coast Dentistry, and allow Dr. Scott to answer any questions you may have. Dentures are removable replacements for missing teeth and gum tissues. 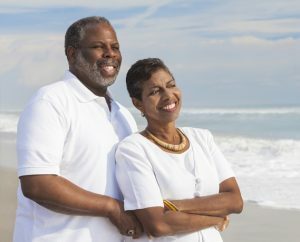 Complete dentures are made when a patient is missing all of his or her natural teeth whereas partial dentures may be an option when some natural teeth remain. Dentures help give support to the cheeks and/or lips and hold up facial muscles, creating a more youthful and vibrant appearance. Dentures also help patients with speaking, chewing, swallowing and smiling.